Created in 2012, the Image Map Pro plugin is an innovative and advanced method for creating a map. It is the most effective way to offer visitors a highly interactive experience using images which are customized by the website developer. The Image Map Pro plugin includes an easy to use interface that will allow WordPress users the chance to create an effective experience for their website visitors. This plugin has some of the best features that one would want from an image map builder and it is very interesting to work with and would tickle any WordPress user’s fancy. It is a convenient way to create unique content that would make a website entertaining for visitors. This Image Map Pro is fairly easy to use for avid WordPress users (however, it requires some understanding for beginners to effectively make use of). A favorite function of this plugin as reported by users is its ability to highlight specific areas on a 3D map (according to the user’s own desires). Aside from this, there are plenty of other things that WordPress users can do when using this plugin in order to attract website visitors and make their content more attention-grabbing. The customizable options in Image Map Pro are endless and users can customize the opacity and strokes of images. The drag and drop interface makes is very easy to use. All the WordPress user needs to do is load their image and begin drawing shapes on top of it for the effect they need to make the image instantaneously intriguing for website visitors. Users can isolate a specified area of any desired shape on the image and draw on that for more accurate depictions of their vision. There are also 150 readymade icons (or SVG images) available at the WordPress user’s disposal and these icons make it easier to create unique and original content without the need for searching for more images. Anything can be added to the ToolTips with the use of the content builder. The price of this plugin may seem fairly steep; however, for those in search of one of the highest quality image map builders, this plugin is the best option available. It costs $24 for the regular version and $124 for the extended version. It is mobile responsive, so whatever is created through this plugin can be seen through a smartphone. The main function of this plugin may seem a little limited in a superficial context (however, for those who can dig deeper, they find that this plugin is much more complex than meets the eye). The Image Map Pro is a very effective way to produce image maps that are accurate and amazing. The images that are produced are a useful way to ensure that the attention of website visitors is immediately grasped. For anyone looking to spruce up their website and create content that would be unforgettable, this plugin can be of help. Another huge plus point of this plugin is that it allows for things that many other map builders cannot help with (like isolating areas of different shapes). It also allows for a lot of control to be in the hands of the WordPress user and this means that the user can customize many things to their liking and to make content that would fit into their website’s landscape. 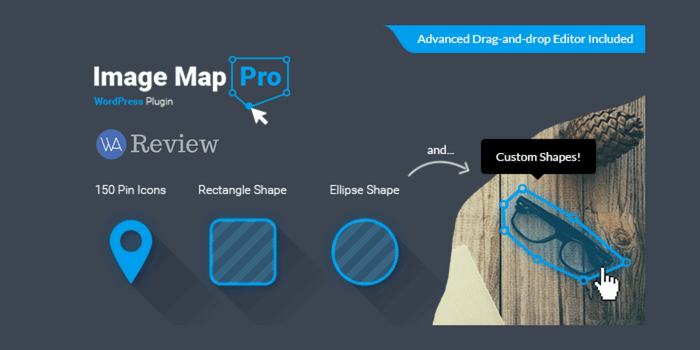 Although a technical and advanced plugin, the Image Map Pro is a useful one and for WordPress users who need to improve their websites in a limited amount of time, this can be a useful way to present unique material without having to jump through hoops. Try Image Map Pro Today! Previous Post 000WebHost Review – Why Has it Become a Household Name?